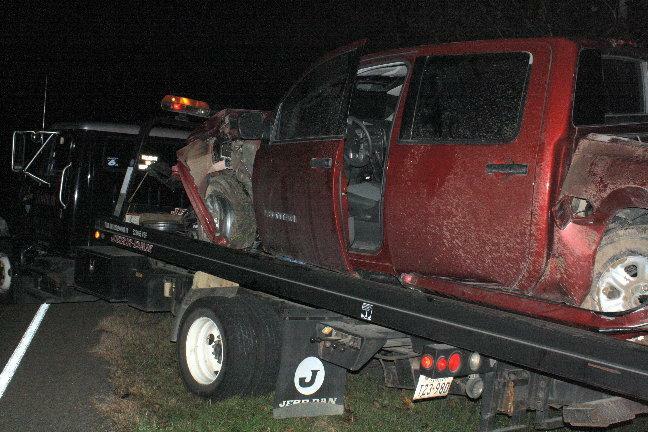 16 Year Old Hospitalized in Major Accident, ACE, November 10, 2009 - At approximately 11:15 pm on November 9, 2009, a red 2006 Nissan Titan driven by Kameron Mikulek, 16, of Livingston, was north-bound on FM-2610 when she entered a curve about 1 mile south of US-146. 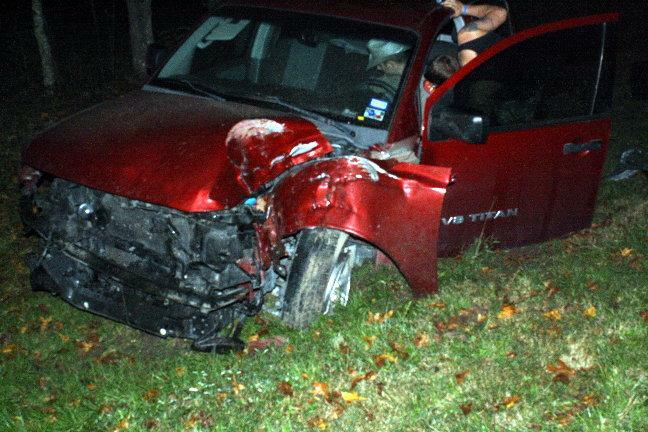 Mikulec's vehicle entered the curve too fast and she lost control of her vehicle. Her vehicle began to skid and turned sideways, left the road to the right side and slammed into 2 different trees, spun around and came to rest in the grass facing north. 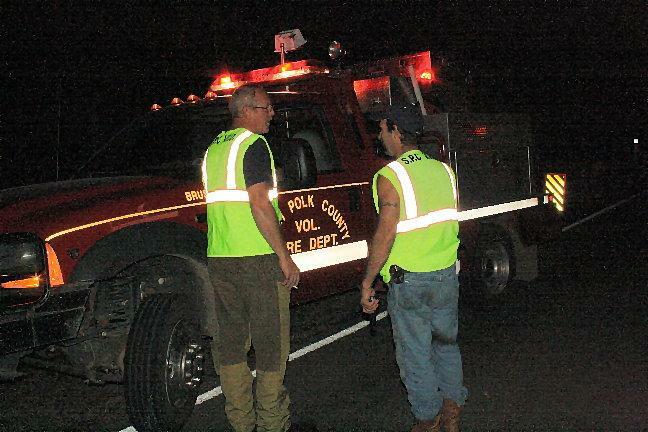 The South Polk County Volunteer Fire Department was dispatched to the scene along with Americare Ambulance Service, Polk County Sheriff's Deputy David Ramsey, and DPS Trooper Chris Stanbery. 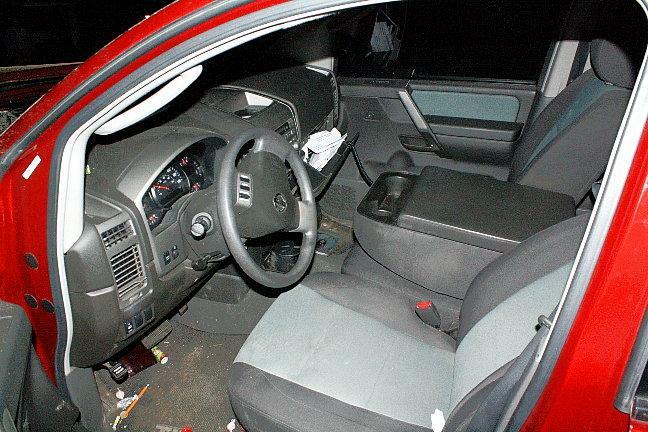 According to witnesses, Mikulec was barely conscious when they arrived and couldn't move. Mikulec was loaded onto an ambulance and transported to Livingston Memorial Hospital with incapacitating injuries. One lane of traffic on FM-2610 was blocked during investigation and cleanup. 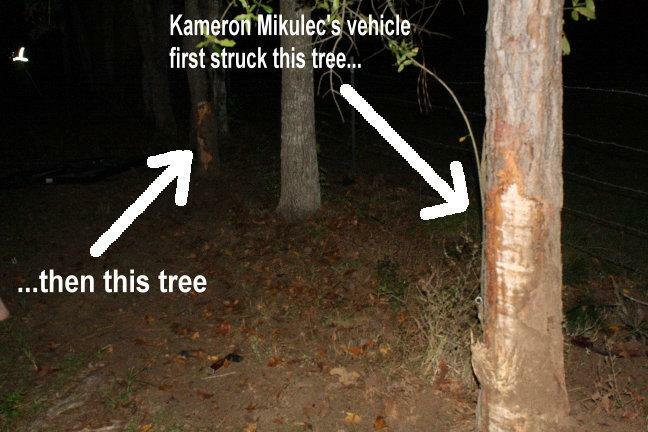 Mikulec's vehicle was totaled. According to Trooper Stanbery, Mikulec will be issued a citation for unsafe speed. Mikulec did have insurance. A rollback wrecker from Fawbush Wrecker Service recovered Mikulec's vehicle and it will be stored at Fawbush in Livingston. 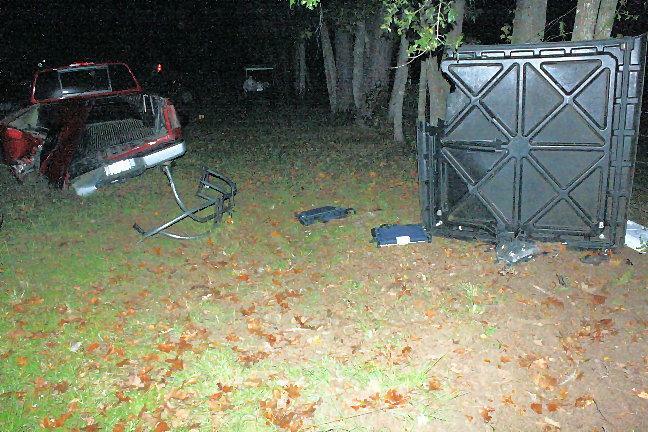 The scene was cleared by 1:45 am. Click here for a video report of tis story. 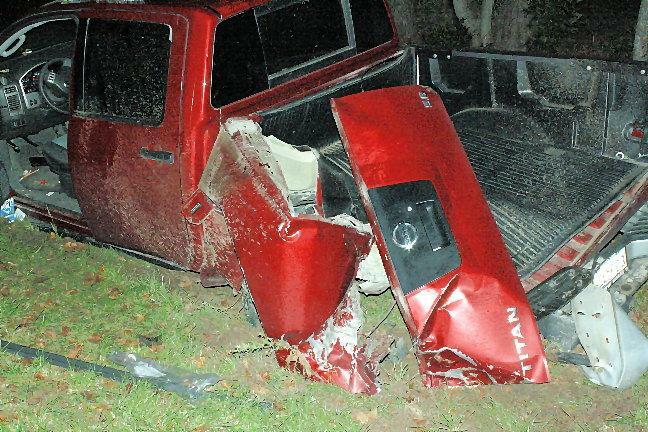 Kameron Mikulec's 2006 Nissan Titan was totaled. 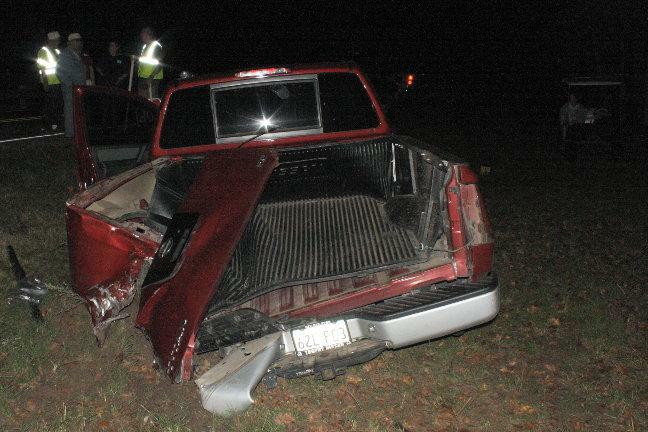 Both the rear driver's side and the front driver's side of the truck slammed directly into 2 different trees. 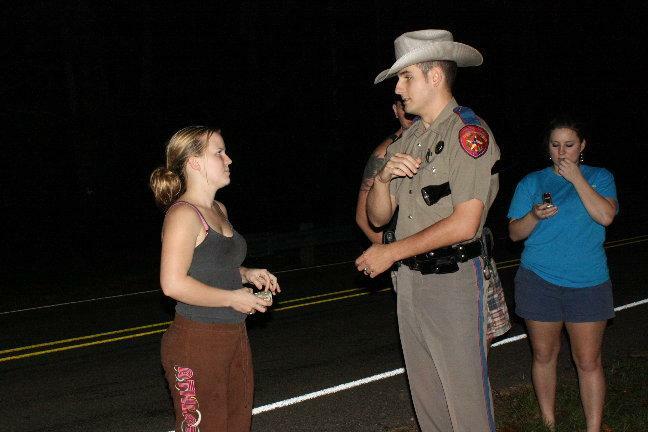 DPS Trooper Chris Stanbery speaks with a person at the scene of the accident.